Stencils made using the customers logo. The stencils are laser cut using 7.5mil mylar which is tough and reusable. The first stencil is three inches in diameter followed by a second stencil two inches in diameter followed by a third stencil one inch in diameter. 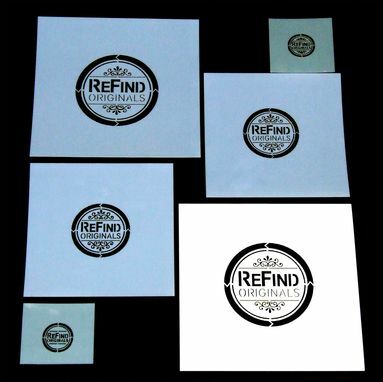 We can make stencils using your logo or drawings using regular or tacky back mylar. Remi is great to work with. I had stencils made of my logo in different sizes. I got exactly what I was hoping for and Remi was good at answering my questions. He is obviously a pro at what he does. The quality of work is perfect!